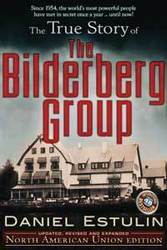 Fidel Castro, one of the most famous world leaders of the 20th Century, published an article Wednesday in which he quoted extensively from the book The True Story of the Bilderberg Group. Fidel Castro, one of the most famous world leaders of the 20th Century, published an article Wednesday in which he quoted extensively from the book The True Story of the Bilderberg Group. Written by investigative journalist Daniel Estulin, the best selling book details the inside workings of the Bilderbergs, a secretive group of some of the most powerful people in the world. Meeting yearly at heavily guarded locations, these very wealthy individuals and families attempt to control the outcome of events in the near future. Castro, who has survived assassination attempts, invasions and a half-century standoff with America is a big believer in furtive plots and other cloak-and-dagger operations conducted by those in positions of power. The former president of Cuba states that Estulin is honest and well informed and agrees that The True Story of the Bilderberg Group is a fantastic story.